The San Francisco Board of Supervisors approved the Major Encroachment Permit for Eagle Plaza in February 2019. 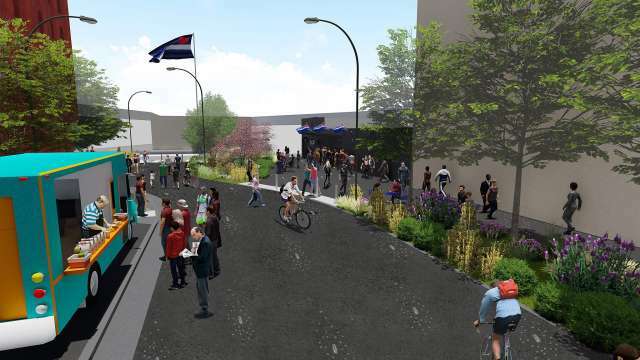 This was a major milestone for the public project, which will convert a wide street into a pedestrian-friendly gathering space that celebrates the LGBTQ and leather communities in San Francisco’s SOMA neighborhood. "Our LGBT and leather communities have a long history in San Francisco and western SOMA and they will now have a permanent home in the neighborhood," stated [Mayor] Breed following the supervisors' vote February 12. "The new Eagle Plaza will celebrate our diversity and the pride we all have in these communities, while also creating a much-needed new open space for all of our residents."